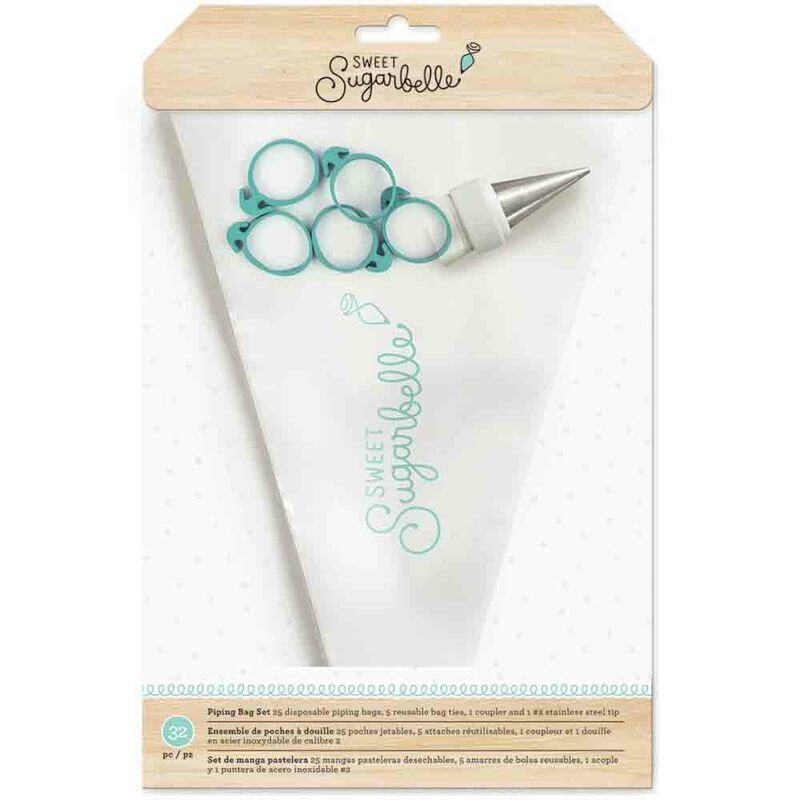 Brand: Sweet Sugarbelle ACF-374096 Units: 1 set/ 22 pcs. total Set includes 15 disposable piping bags, five reusable bag ties, one coupler, and one #2 stainless steel icing tip. Set includes 15 disposable piping bags, five reusable bag ties, one coupler, and one #2 stainless steel icing tip.